Believe it or not, the penalty for failing to file a tax return exceeds the penalty for failing to pay your taxes. Filing an extension is a way to make sure you don’t fall into the bad graces of the Internal Revenue Service. I’ve talked to lots of folks who would rather give up their first-born child than file an extension. To them it’s somehow a failure on their part. 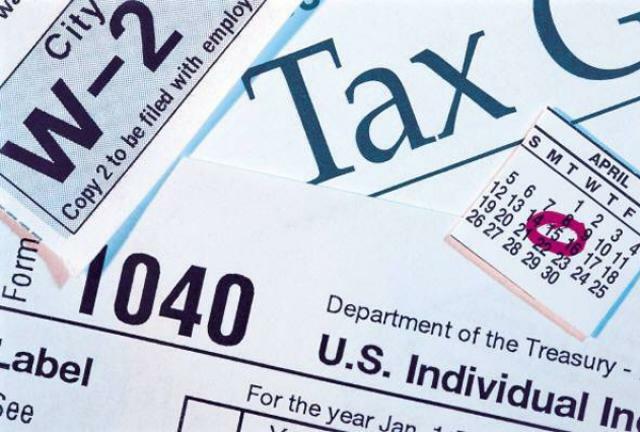 But as the April 15 tax-filing deadline approaches many people are still gathering the necessary financial records or scrambling to come up with the cash needed to pay their tax bill and an extension may be necessary. Financial author Mary Beth Franklin says procrastination is understandable given that the new tax law changed some essential rules for individual taxpayers, including capping the annual deduction for state and local taxes at $10,000; adding a new 20% deduction on taxable income for some small businesses that pay taxes as individuals rather than at corporate rates; and adjusting withholding tables during the year, resulting in smaller refunds or more taxes owed for some taxpayers compared to previous years. The Internal Revenue Service allows taxpayers to file for a six-month extension for any reason as long as they submit the proper form in time. Just file Form 4868 either electronically or on paper by the April deadline. But more time to file does not mean more time to pay. Your payment — at least your best estimate of what you owe — is still due by April 15. Marty Abo, a certified public accountant and head of Abo and Co. in Mt. Laurel, N.J., offered his top reasons why clients should file an extension by the deadline, even if they don’t have the money or the information they need to complete a final tax return at that time. For some self-employed taxpayers, filing an extension can make sense even if they don’t owe the IRS any money. If you do not file by the April 15 deadline, you might face a failure-to-file penalty. Without a valid extension, a return that’s filed late is subject to a 5% per month penalty on any unpaid balance, up to a maximum penalty of 25%. The penalty for failing to file is generally higher than the penalty for failing to pay, so if you cannot pay all the taxes you owe, you should still file your tax return or an extension and explore other payment options in the meantime. 3. If you do not pay by the due date, the failure-to-pay penalty is one-half of 1% of your unpaid taxes for each month, or part of a month, the taxes are not paid after the due date. Normally, you have to pay at least 90% of what you owe for the tax year, or 100% of the tax liability from the prior year, to avoid a penalty for underpayment (110% if your adjusted gross income on that year’s return exceeded $150,000). But this year, special rules allow taxpayers who have paid at least 80% of their tax bill during the year to escape penalties. In January, the IRS set the threshold at 85% for 2018 returns, but it revised that guidance to 80% in late March. 4. If you file an extension and pay at least 80% of your actual tax liability for 2018 by April 15, you will not be faced with a failure-to-pay penalty as long as the remaining balance is paid by Oct. 15. 5. If you file your return on time and request an installment agreement, the one-half of 1% failure-to-pay penalty decreases to one-quarter of 1% for any month the installment agreement is in effect. 6. If you do not pay your tax balance by April 15, you will be charged interest on any unpaid amount. The interest rate on underpayments is 6% per year — still a bargain compared to most credit card interest rates if you are considering charging your outstanding tax bill on your credit card. 7. If you file your return more than 60 days after the due date or extended due date, the minimum penalty is the smaller of $210 or 100% of the unpaid tax. 8. There are other good reasons to file an extension, even if you don’t owe any money — and they have to do with saving for retirement. Filing an extension permits you to defer funding a self-employed retirement plan, but not a regular individual retirement account, Roth IRA or Coverdell Education Savings Account. An extension also allows self-employed individuals to delay opening and funding a simplified employee pension, or SEP, to as late as the extended due date. Although a Solo 401(k) must be established by Dec. 31 of the prior year, tax-deductible contributions can be made through the April 15 tax deadline, or Oct. 15 in the case of a tax-filing extension. “One strategy we often implement for our self-employed individual clients is to pay all taxes deemed due with an extension and then fund the retirement plan later — as late as Oct. 15 — when — when cash flow permits,” Mr. Abo said. Previous articleHow Long Should We Keep Tax Records?